Anyone who has seen early manuscripts will perhaps understand the bewildering number and diversity of different styles of script there are, but all derive ultimately from the handwriting of the late Roman world. In the Medieval and early Renaissance periods the vast majority of scribes were men; they were monks working in monastery scriptoria. These rooms for writing and illustrating manuscripts were often near the library, if the monastery had one, but there is a scholarly body of thought that there were not actually that many scriptoria and that many scribes worked on their own in their own cells. The scripts they would use (and there might be two, three or four different scribes working on the same book) would be in the style determined at the outset, either by the Abbot or the patron of the work, or both. The earliest formal codex scripts were majuscule scripts, in which few of the letter-forms contain strokes that project beneath the ruled line or above the headline. Majuscule in time developed into the familiar Gothic script and was used in northern Europe from the 12th through to the 17th century and was in use in Germany until the 20th century. There are many variations of the Gothic script just as there are variations in all other styles. As Gothic script fell out of style in France, the Low Countries and Britain (in Italy, Spain and Greece Gothic was never in vogue; they considered it too barbaric and archaic), there were new styles of handwriting being developed in different regions, mostly based on the uncial and half-uncial style, and of these the most successful was the Caroline Minuscule. Whilst this had elements of the Gothic it was revived by the Italian humanists in a form known as Humanistic Minuscule. 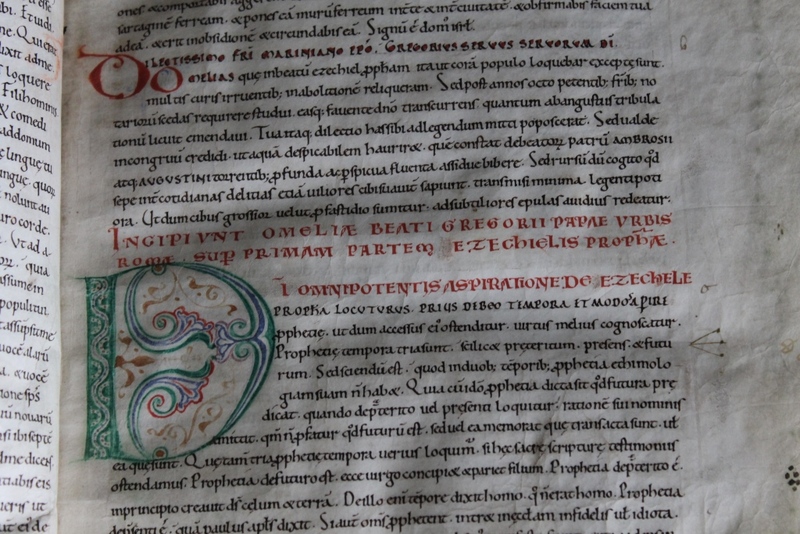 Caroline Minuscule is also known as Carolingian script. 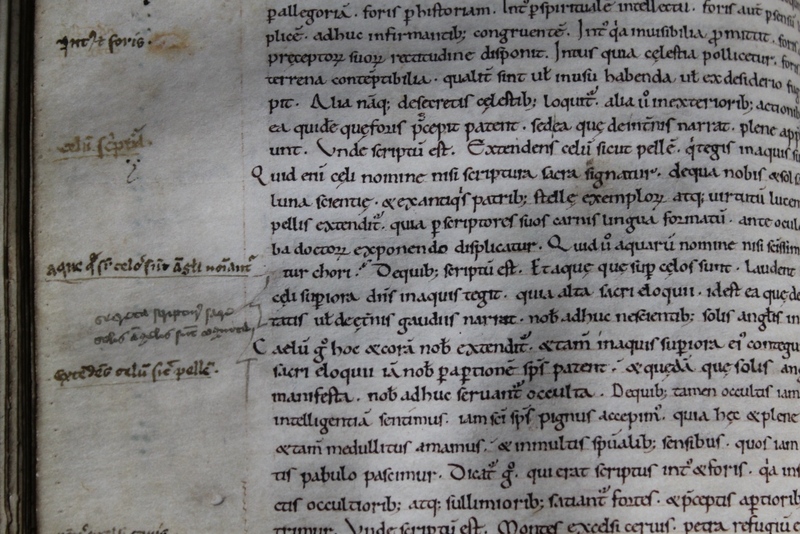 Two of our own manuscripts held in the Chapter Library at St George’s, SGC LIB MS.4 and SGC LIB MS.5, have good examples of Carolingian script. Once the scribes had completed their writing per vellum leaf to the style and plan agreed at the outset, the spaces remaining were there for the artist to paint directly onto the page his or her miniatures (women artists were making their mark elsewhere away from the monastery). This might be a full-page painting, half-page, foliated borders with flora and fauna, historiated capital letters at the start of chapters, et al. There was much creativity and high quality artwork amongst the legion of artists throughout Europe and this will be the subject of my next blog.